FiberCore® – Structural Technology – For additional strength and durability. UltraCore® – Insulated Window System – Polyurethane insulated windows for indoor comfort and overall, top-quality window performance. WindBlock™ Weatherstripping – This system stops wind and air by way of three, continuous layers of weatherstripping featuring a center double mylar fin for further protection. 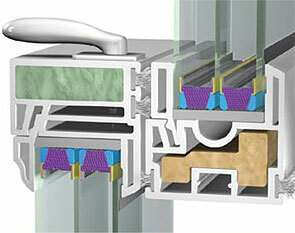 This sealing system blocks even the smallest amounts of air and ensures that your home’s comfort is not compromised.